Adventures have been had. More books devoured and then one day, David had read enough where the ideas he had kept bottled up needed a release valve. And thus, rising out of the self doubt like a phoenix at a clicky keyboard, a writer was born. Kingshold is David’s debut novel and Tales of Kingshol Born in Derby in England, on the day before mid-summers day, David Peter Woolliscroft was very nearly magical. If only his dear old mum could have held on for another day. But magic called out to him over the years, with a many a book being devoured for its arcane properties. 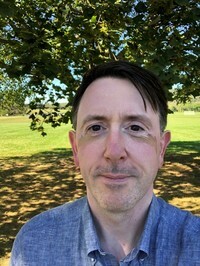 David studied Accounting at Cardiff University where numbers weaved their own kind of magic and he has since been a successful business leader in the intervening twenty years. To ask D.P. Woolliscroft questions, please sign up. This question contains spoilers… (view spoiler)[I read Kingshold before Of Buccaneers and was wondering if Kolsen is the Pirate King in Kingshold? Did he have anything to do with that raid? It may have been obvious if I had read them in order but I'm not too sure. Yes, Kolsen is the pirate king and led the raid on Kingshold. Why? You’ll have to wait for later to find out. And by the way, you read them…moreHi there. Yes, Kolsen is the pirate king and led the raid on Kingshold. Why? You’ll have to wait for later to find out. And by the way, you read them in the right order. In fact Of Buccaneers and Bards will be included in the upcoming Tales of Kingshold, Book 1.5 of the series which is a collection of other similar novelettes. I’m so glad you enjoyed it and signed up for the mailing list. That’s a high recommendation. Why don’t you sign up to be an Advance reviewer in the future and you’ll get the new books in advance. 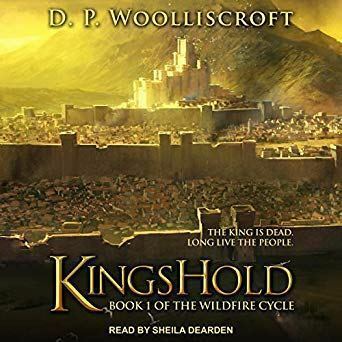 Kingshold audiobook is available now. But I have two copies to give away to two lucky winners. Enter below! "At first I was wary of a female narrator for what seems to be predominantly male POV characters. We’d love your help. Let us know what’s wrong with this preview of Tales of Kingshold by D.P. Woolliscroft. I'm not going to review this book because, well, I wrote it and there's the potential to be a little bit biased. But I will post updates here from time to time about how the publishing process is going. Right now I'm feeling confident enough to say Io I'm not going to review this book because, well, I wrote it and there's the potential to be a little bit biased. But I will post updates here from time to time about how the publishing process is going. Right now I'm feeling confident enough to say Ioth, City of Lights will be out in June. The manuscript is with my editor and she works fast. It's with my beta readers too and I've already had some positive feedback on what I think is a better book than Kingshold.
" I remember reading this when it first came out in the 90s and enjoying it. " " Thanks for the review Megan. I'm glad you enjoyed it! Btw, it is kind of required reading for Book 2 and the rest of the series afterwards ;) "